One of the best ways to reminisce the good old days when the entire family used to be together during each and every festival is to go through the family albums. Memories keep flowing in and so does the varied experiences that one went through in each of those festivals. For most of the Indians, celebrating Rakhi is equally significant as is celebrating the Diwali or Holi. 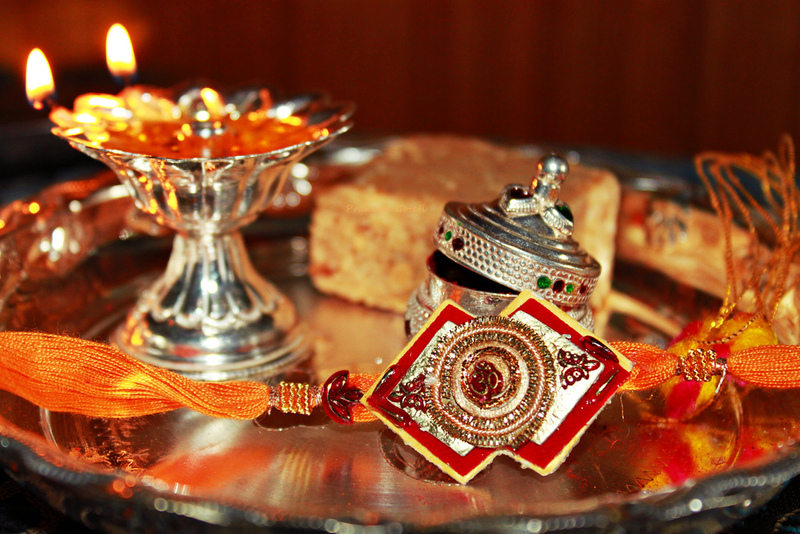 Rakhi is the celebration of the sacred bond between a brother and a sister or cousins, etc. The occasion brings all the family members together irrespective of their ages. While a three-year-old would tie the rakhi on her six-year-old brother, on the other side one will find a 55-year-old sister tying a rakhi on the wrist of her 60-year-old brother. The emotions remain the same irrespective of the age you are. However, in the present scenario, not every brother gets to spend this auspicious day with his dear sister owing to the work commitments and being located in different cities. It becomes increasingly difficult to sneak out, come and be part of the Rakhi celebrations so easily these days. It may be the same for the sisters who are married and settled in different cities and even countries. In such cases, the only common thing that takes place is sending the rakhi through mail or courier with a message. Rakhi is a celebration of the bond that a brother and sister shares and exchange of gifts along with tying a rakhi on the wrist of the brother by the sister is also common. While the Rakhi is being tied to the brother’s wrist, there are promises taken to protect and safeguard the sister and gift her with accessories that are dear to her. The trend, currently, is about gifting the brothers as well. The brothers are gifted with clothes, perfumes, accessories and sweets. 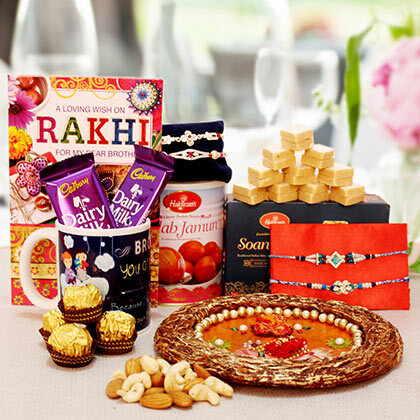 The online portals in India, keeping in mind the traditions and rituals followed in Rakhi, have introduced the system of preparing rakhi gift hampers for brothers which can be sent along with rakhi for brother online. All one needs to do is open a website that has provisions of selling and delivering Rakhi Online gift hampers on the designated day. The hampers contain items such as clothes and apparels, perfumes, accessories such as designer key chains, watches, headphones, traditional pooja thalis with sweets or dry fruits etc. The Rakhi thali also includes the designer rakhi that can be customised as well along with Roli and Chawal in two different containers. 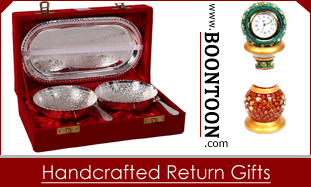 Depending on the budget, one can also shop online rakhi with sweets like laddoos, chocolates, etc. This can be made part of the entire gift rakhi gift hamper for the brother depending on the choice and preference of sweets he has. These gifting websites ensure that the orders are properly processed and delivered within the estimated date and time. There are websites that deliver gift hampers to people settled abroad in countries such as US, UK, Australia, European countries, etc. The customers are charged separately for delivery charges in the case of international deliveries.